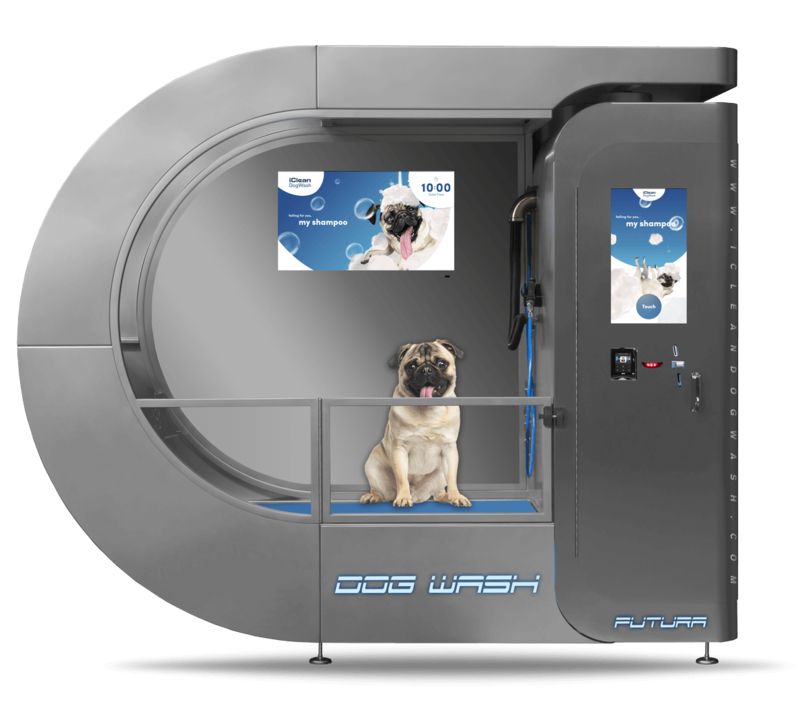 The Dog Wash brings new customers to stores that have never been there before because you now provide a dog wash for customers to easily clean their dogs. We surveyed 30 pet stores that have a Dog Wash, in which 2 were major chains, we found that 40% of their customers had never visited the store until a Dog Wash was installed, hard to believe? Converting people that would never wash their dog to regular dog washers. With having a dog wash, more customers will regularly visit the store to wash their pets and this will result in a higher spend in the store as well as at the dog wash. In several cases the grooming products spend went up by 25% due to repositioning of products around the dog wash area. The new customer spend is an added bonus, with 40% of these being new to the store it is an opportunity to retain them, so if a store has approx 1200 sales per week it is probable that the dog wash will have a customer base of at least 40 dogs per week, approx $350 turn over, out of these customers 16 have not been to the store until you offered this service, customers cycle between 3 and 5 weeks to wash, taking this into account you could have up to 100 new regular customers, convert this into other retail sales per year in store! The new customer spend is an added bonus, with 40% of these being new to the store it is an opportunity to retain them, so if a store has approx 1200 sales per week it is probable that the dog wash will have a customer base of at least 40 dogs per week, approx € 300,- turn over, out of these customers 16 have not been to the store until you offered this service, customers cycle between 3 and 5 weeks to wash, taking this into account you could have up to 100 new regular customers, convert this into other retail sales per year in store! 2-3 Galons per minute, 10-16 Galons per wash. With a water price of $2.00 per 265 Galons, the average total water cost will be $0.11. Maximum capacity is 2 kW (during drying), excluding water heater. If a water heater is chosen, the heater of also 2 kW will not switch on at the same time the dryer is being used at high volume. The dryer requires 1 kW at low volume, 2 kW at high volume. If the boiler switches on during low volume drying then the maximum power is 3 kW. At 110 V this requires 13 Amp (16 Amp normal fusing is standard). 8-12 liters per minute, 40-60 liters per wash. With a water price of € 2,00 per 1000 liter, the average total water cost will be € 0,10. Maximum capacity is 2 kW (during drying), excluding water heater. If a water heater is chosen, the heater of also 2 kW will not switch on at the same time the dryer is being used at high volume. The dryer requires 1 kW at low volume, 2 kW at high volume. If the boiler switches on during low volume drying then the maximum power is 3 kW. At 230 V this requires 13 Amp (16 Amp normal fusing is standard). Power consumption per Dog wash of 10 minutes with a kWh price of € 0,15 p/kWh, the total average energy cost will be € 0,05. Dosing pumps, maximum capacity: 6 ltr/hour = 100 ml/min. ROI is less then 1,5 years! If you lease a dog wash for 5 years/ 60 months, this would cost you about $260.00 per month ($65.00 per week). As written above, your sales margin per washed dog is $9.05. This means if you wash 7 dogs in per week (1 dog per day only!) your machine is paid for. Every second and more dogs per day is already making you profit. BEP is only 1 dog a day! If you lease a dog wash for 72 months, this would cost you about € 240.00 per month (€ 60.00 per week). As written above, your sales margin per washed dog is € 6.55. This means if you wash 10 dogs in per week (1 dog per day only!) your machine is paid for. Every second and more dogs per day is already profit.